Massive fires erupted on Friday in farmlands located in Israeli settlements neighboring the Gaza Strip. 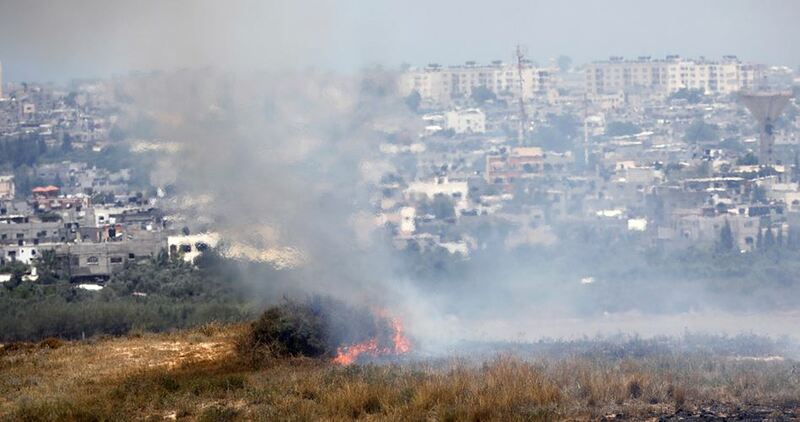 According to Hebrew media sources, fires broke out in farmlands in the settlements of Nir Am, Be'eri, Kissufim and Kerem Shalom by flaming kites sent from the Gaza Strip. Yedioth Ahronoth newspaper said that an Israeli settler suffered a breathing difficulty after inhaling smoke from a fire in Kerem Shalom settlement in the morning. Since the start of the Great March of Return in the Gaza Strip, dozens of kites made by Palestinian youths with flaming rags attached to their tails have been launched toward settler farmlands near the border fence causing heavy losses. The burning kites are one of the tools used by Palestinian youths to confuse the Israeli snipers stationed at the border fence and respond to the Israeli crimes committed against the peaceful protesters. 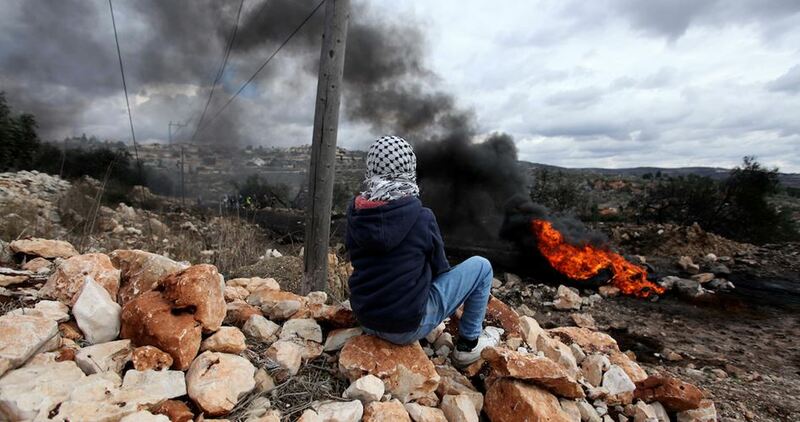 A number of Palestinian citizens were injured Friday after the Israeli occupation forces (IOF) quelled the anti-settlement weekly demonstration of Kafr Qaddum town in Qalqilya. Popular resistance coordinator in Kafr Qaddum Murad Shtewi said that the IOF attacked the demonstrators with rubber-coated metal bullets and teargas canisters injuring a number of them, including a Jewish peace activist. The IOF soldiers chased the Palestinian youths in the town's streets, climbed the Palestinian houses' rooftops and turned them into lookouts. Kafr Qaddum demonstration was organized on Friday in commemoration of the 51st anniversary of the Palestinian Naksa (June's setback). The demonstrators chanted slogans calling for escalating popular resistance against the Israeli occupation. Israeli soldiers attacked, Friday, the weekly nonviolent procession against the Annexation Wall and Colonies in Kufur Qaddoum, east of the northern West Bank city of Qalqilia, and injured several Palestinians, in addition to an Israeli peace activist. The soldiers attacked the protesters with rubber-coated steel bullets and gas bombs, shortly after the procession started, causing many to suffer the effects of teargas inhalation. The soldiers also fired rubber-coated steel bullets, wounding an Israeli peace activist in his back, and chased many protesters in an attempt to abduct them. Furthermore, the soldiers invaded homes, and occupied their rooftops, to use them as firing posts and monitoring towers. Several protesters hurled stones at the soldiers, who fired more gas bombs, concussion grenades and rubber-coated steel bullets. Israeli occupation forces (IOF) fired bullets and teargas grenades directly at Palestinian ambulances and medical teams during the ongoing protests within the events of the Great March of Return at the eastern border of the Gaza Strip on Friday. Palestinian Health Ministry announced that the IOF quelling of the massive march of return caused damage to at least one ambulance east of Khan Younis. A number of Palestinians were injured including the correspondent of Radio Al-Aqsa Voice and the photographer of the Agence France-Presse, who was shot in his foot by IOF soldiers at the border to the east of Gaza City. 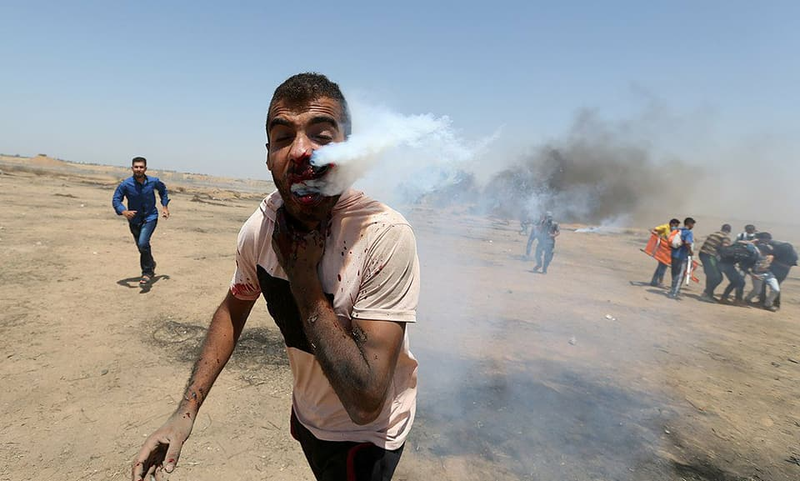 A Palestinian protester was hit by an Israeli teargas canister in his mouth, today at the eastern border of the Gaza Strip. The Israeli Occupation Forces (IOF) on Friday shot and killed four Palestinians, including a child, and injured more than 600 others as they continue to crack down the peaceful protests along the eastern border of the Gaza Strip. The PIC field reporters identified the martyrs as 14-year-old Haitham al-Jamal, Ziad Bureim, 25, Imad Abu Darabi, 21, and Youssef Fassih, 29. At least 618 Palestinians were also injured during the events. 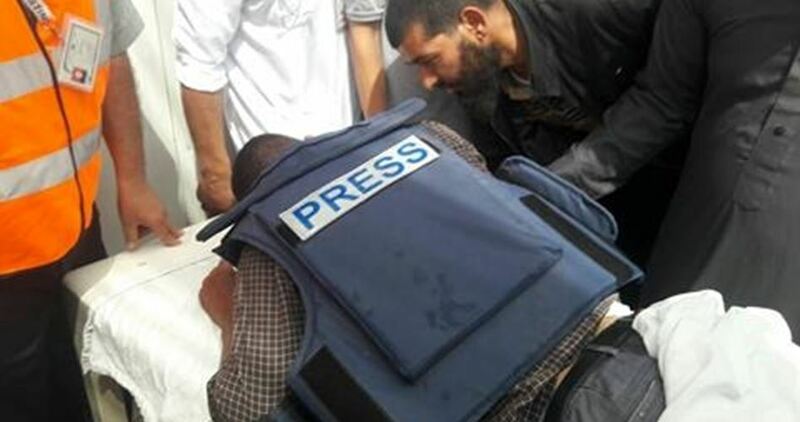 Five journalists were among the injured including the correspondent of Radio Al-Aqsa Voice and the photographer of the Agence France-Presse, who was shot in his foot by IOF soldiers at the border to the east of Gaza City. On the other hand, Palestinian health ministry said that Palestinian ambulances and medical teams were directly targeted during the ongoing protests. Since morning hours, Palestinians have gathered along the Gaza eastern borders for the 11th consecutive Friday to participate in ongoing rallies against Israel’s decades-long occupation. Updated: The Palestinian Health Ministry in Gaza has confirmed that Israeli soldiers killed four Palestinians, including one child, and injured 618 others, including five journalists, 26 children and 14 women, and added that 117 of the wounded were shot with live fire, among them eight who suffer very serious injuries. 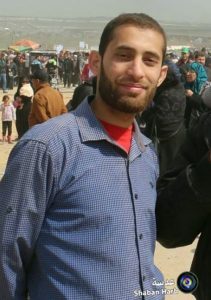 The Health Ministry said a Palestinian, identified as Ziad Jadallah al-Breem, 27, was killed by Israeli army fire east of Khuza’a town, east of Khan Younis, in the southern part of the Gaza Strip. The army also killed a Palestinian child, identified as Haitham Mohammad Khalil al-Jamal, 15, from Rafah, in the southern part of the Gaza Strip. 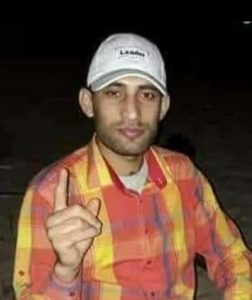 It added that the soldiers also killed Emad Nabil Abu Drabi, 26, near the Great Return Camp, east of Jabalia, in northern Gaza. In addition, the soldiers killed Yousef al-Faseeh, 29, with live fire, east of Gaza City. Dr. Ashraf al-Qedra, the spokesperson of the Health Ministry in the Gaza Strip, said the soldiers shot at least 92 Palestinians with live fire, and 19 others who were injured by shrapnel from the bullets. He added that the army also shot five journalists, including Mohammad al-Baba, who works for the French Press Agency, and was injured with a live round in his thigh. Dr. al-Qedra also stated that among the wounded Palestinians are 26 children and 14 women. The rest of the injured Palestinians suffered cuts and bruises, in addition to the severe effects of teargas inhalation. On of the wounded Palestinians while directly shot with a high-velocity gas bombs in his upper jaw and settled in his mouth, moderately wounding him and causing him to suffer the severe effects of teargas inhalation. It is worth mentioning that thousands of Palestinians have participated in the Great Return March protests, Friday, in several areas in the coastal region. In a statement, Dr. al-Qedra said the soldiers have killed 127 Palestinians, and injured 14700 others, including women, children, medics and journalists, in the Gaza Strip, since the beginning of the Great Return March on Palestinian Land, on March 30th, 2018. Israeli forces, on Friday, shot and killed three Palestinians, including a child, and injured more than 500 others as they descended on the continuing protests at the eastern border of the Gaza Strip, according to the Ministry of Health. 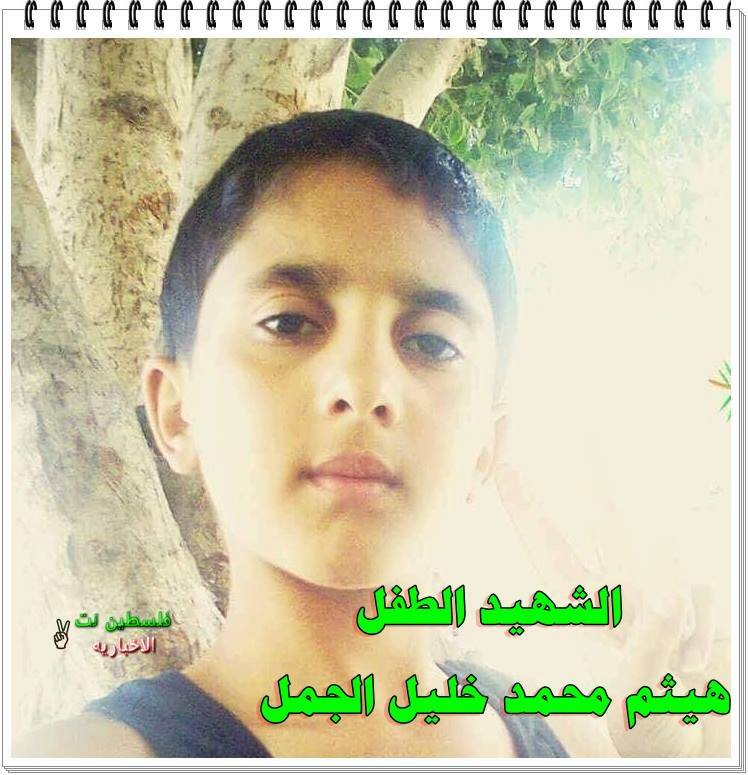 Israeli soldiers shot and killed 15-year-old Haitham al-Jamal while he was partaking in the protests at Gaza-Israel border, to the east of Khan Younei, in southern Gaza Strip. 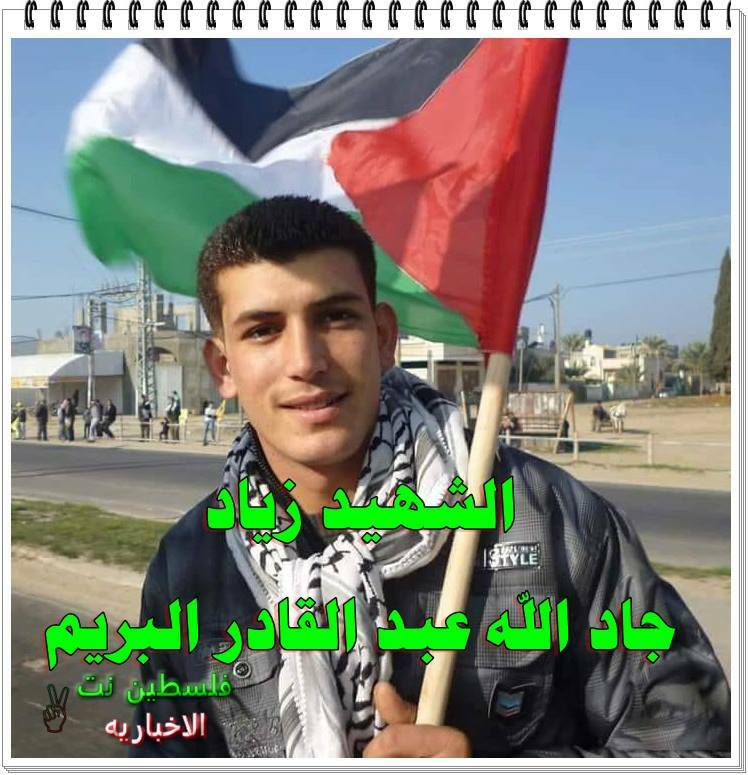 Prior to this, Ziad Jadallah Bureim was shot dead to the east of Khan Younis, while Imad Nabil Abu Drabi, 26, was killed by the forces at the border to the east of Jabalia town, in northern Gaza Strip. Meanwhile, 92 protesters sustained live fire injuries, including seven critically, as well as 26 children and 14 women. The remaining of the cases suffocated from teargas inhalation, and most of them were treated at field hospitals that were set up in the five main encampments of the protests at the border, WAFA reports.